As Dharmafarers we may be hazy, avoidant, mistrustful or fearful about money and assume it has nothing to do with spiritual life. Yet how we earn, spend, invest and give our money is a significant expression of our life energy. Without awareness, our wanting mind will treat money as a symbol for love, freedom or power. In turning towards our history, views and habits in relation to money, we can cultivate clarity, confidence and abundance. And in really seeing money’s ungraspable, flowing nature, we can manifest our potential as an open-handed being. 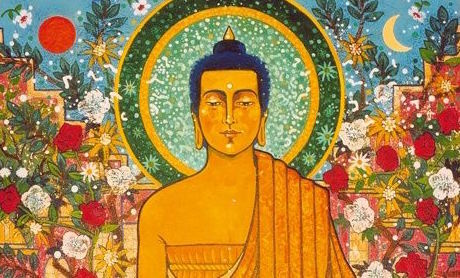 How can we tread this path to Money Awakening, to act ‘as if’ we were the Buddha Ratnasambhava? One way is to focus on the 3rd and 2nd precepts: Live Simpler, Give More. Living Simpler means spending according to our true needs, and not according to conventional or consumerist norms. This also frees us up to finally do the work that calls us. Giving More means to stretch beyond the limits that our self-clinging puts on how much money we think we can share with others.